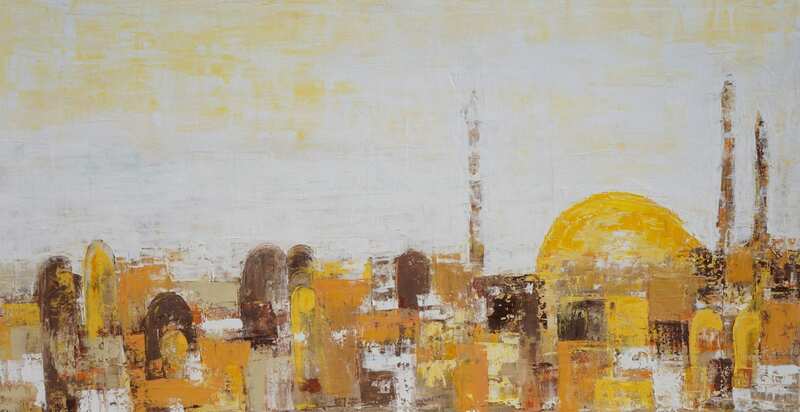 A Jordanian artist who has lived between Jordan and Nigeria, two very rich, distinct and particular cultures and environments, according to her. 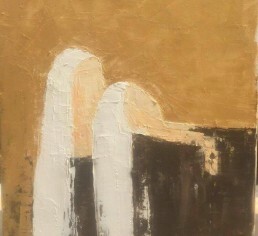 This has enriched her experience as an artist and has given her a wealthy source to draw from when creating her paintings. Shahin completed her Bachelor of Arts in Psychology and Archeology at the University of Jordan and after graduating, returned to Nigeria to continue her path as an educator. According to her, the two countries that she lived in have inspired Shahin’s art in so many ways. 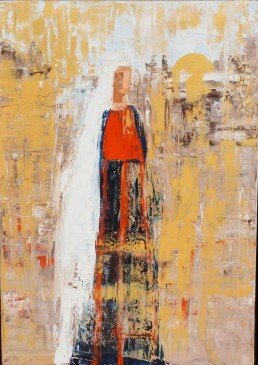 Home to countless Palestinian immigrants and settlers who contribute greatly to the construction of its culture, the artist believes that Jordan is a country filled with history, amazing people and unique culture. 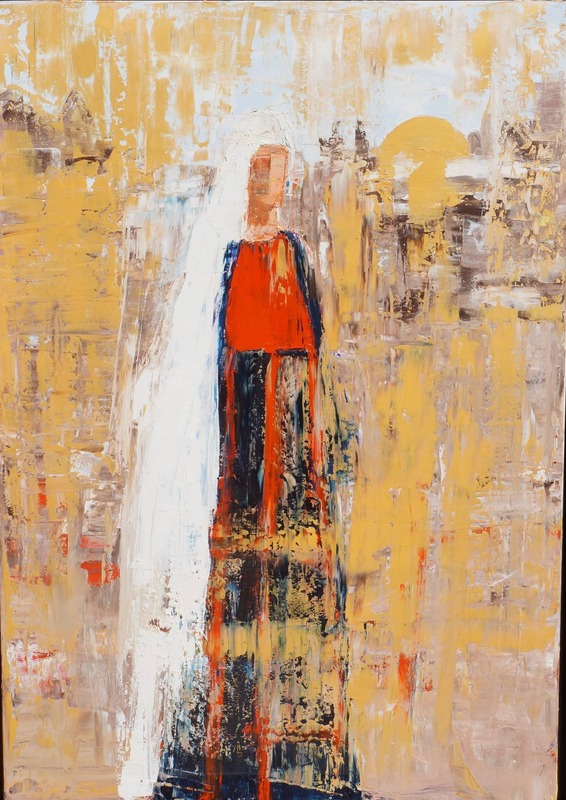 Being a Palestinian-Jordanian herself, she finds herself constantly portraying the images of Palestinian people and places in her artwork. Nigeria, on the other hand, represents childhood memories, wild nature, spontaneous beauty, colourful costumes, and a wealth of aspects that has shaped her views of beauty and has developed her appreciation for arts in all its forms. In her own words, Shahin says that a childhood in Nigeria is one spent surrounded by beautiful natural sounds, places and people, and is one that is full of life. 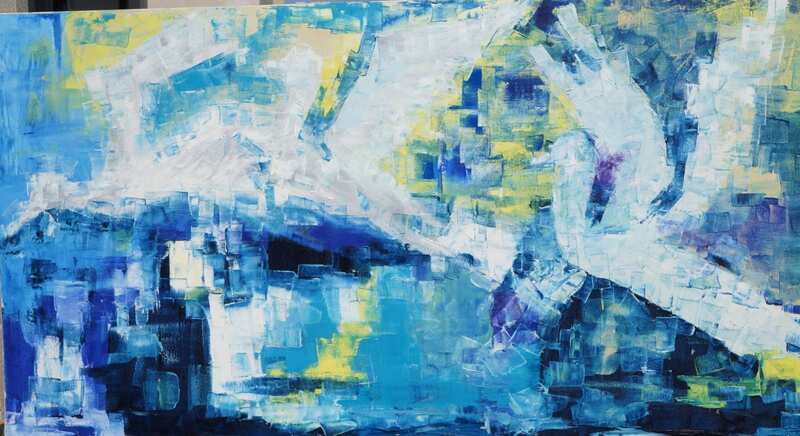 Shahin’s art is a combination of colours and strokes, always beginning with spontaneous movements on canvas that result from her feelings and sensations at the time. These vague figures and patterns are then examined and transformed into a painting that makes sense and conveys a clear message. 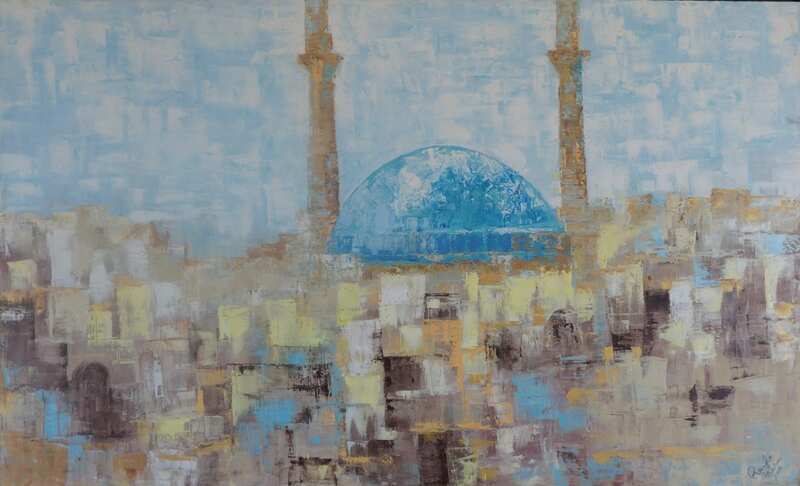 She believes that art does not require a title or explanation, rather a good painting will build on context and existing images and symbols to give them new perspective and meaning that can be interpreted openly by any viewer.